Twenty-five years ago, when La Serena began to position itself as the new resort city of Chile, Hoteles Campanario was born to provide a high level hotel alternative in the heart of the beach area. 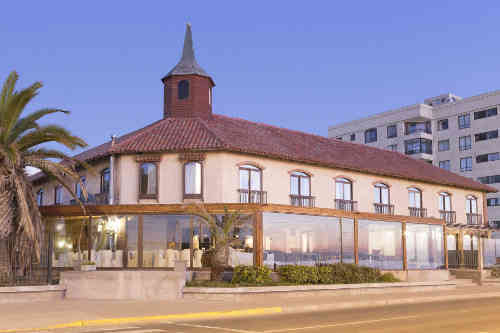 What started as a small Boutique Hotel with only 14 rooms, evolved over the years into a chain that today includes 2 hotels and a complex of holiday cabins, all of them characterized by its modern infrastructure and awesome location, just steps away from one of the best beaches in Chile. This diversity of properties was designed to meet the needs of a wide range of visitors: from the passenger who seeks the calm and personalized attention of a boutique hotel, to families or groups that requires wide spaces and calm to rest and have fun. The origin of this great dream is Hotel Campanario del Mar, built under a typical colonial architecture of La Serena, which has become an icon of the city. In 2000 we complemented our offer with Hotel Playa Campanario, which has become an excellent alternative for families and groups, thanks to its extensive green areas and a great location, very close from the renown Faro Monumental and the historical center. Finally in 2015 we opened a new member of our club: Cabañas Campanario, a group of spacious and comfortable cabins, perfect for those looking for the confort of a fully equipped kitchen with the services of a hotel. Today our three complexes offer a great alternative for business and leisure travelers in La Serena, offering a personalized service, modern infrastructure and the best location to enjoy this beautiful seaside city. Hoteles Campanario’s Company has been dedicated for over 25 years to the operation and administration of hotel complexes, which are distinguished by their special location and infrastructure. We work to deliver an excellent hotel experience to our passengers, recognized by the quality of our service, which offers a warm, personalized and smart stay. At Hoteles Campanario we work permanently to contribute to the development of the tourism industry of Coquimbo’s region. Through excellence in service and a great concern for details, we are truly committed to achieving the full satisfaction of our passengers. We believe that sustainable development is the only possible way to achieve our goals and dreams; therefore we put our community’s growth and the preservation of the environment at the heart of everything we do.